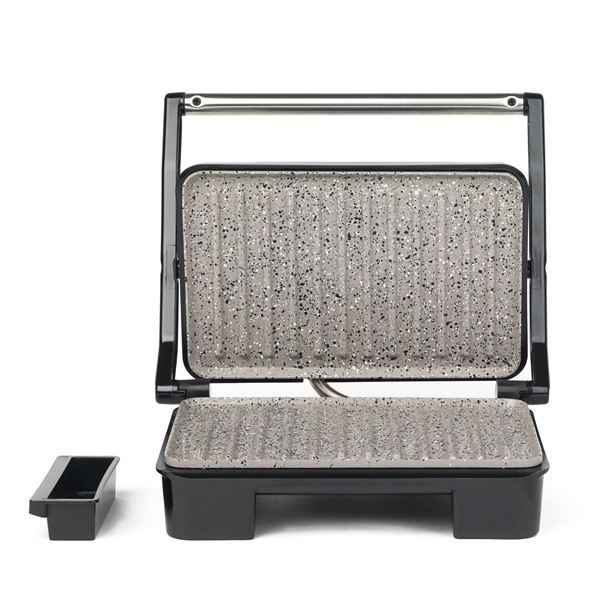 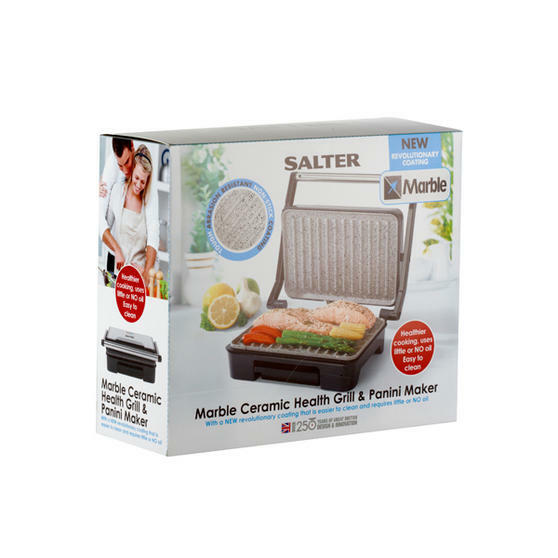 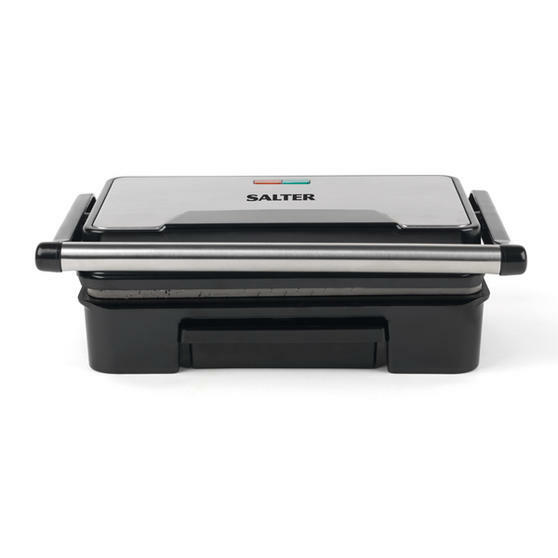 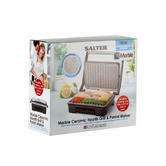 Experience a healthier way of cooking with this fantastic Salter grill featuring revolutionary marble ceramic technology, a unique non-stick surface designed for optimum cooking performance. 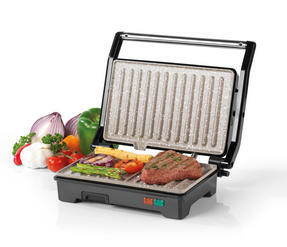 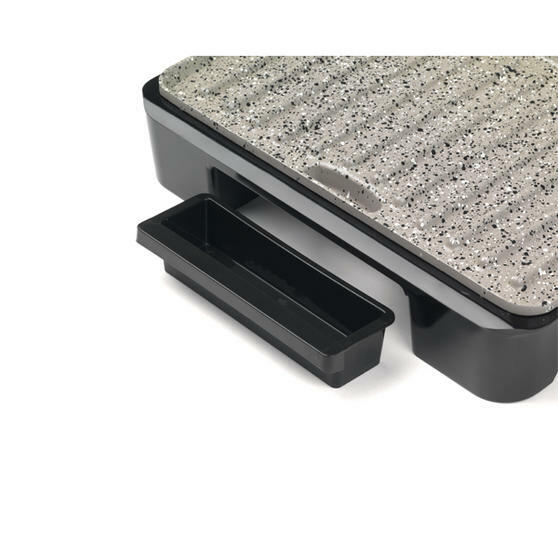 This versatile grill can be used to evenly cook burgers, toasted sandwiches and even larger items such as fish, meat and vegetables. 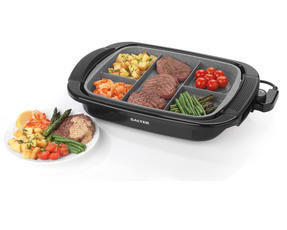 Using 750 W power with an oil channel and drip tray, any excess fat is easily drained from the food while it cooks for a healthier meal full of flavour. 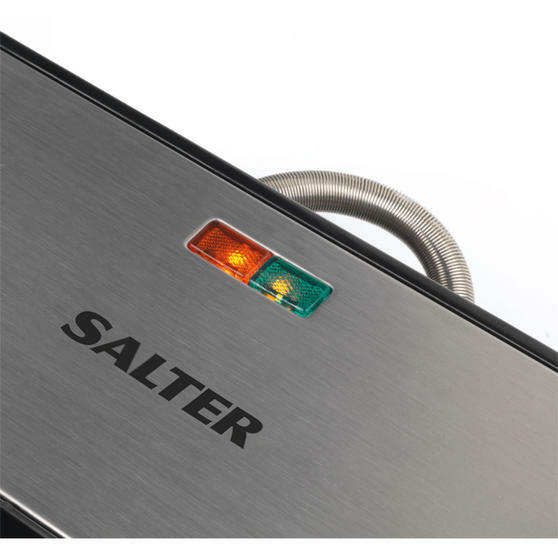 Measuring 26.7l x 8.9w x 22.7h cm, the grill features 750 W power with automatic temperature control and power on and ready lights.